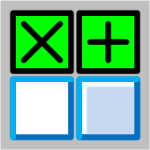 If you’ve Visio for any amount of time, you might have noticed that the selection handles that you use to manipulate shapes take on various forms. 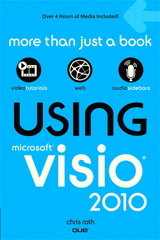 With the coming of Visio 2010, the universe of shape handles gets more complex, because the Microsoft team has changed the look. This will cause confusion as veterans talk to newbies, and people refer to older blog posts for in-depth info about using Microsoft Visio. So I thought I’d post a few articles that talk about shape handles, and discuss the differences between past and future versions of Visio. 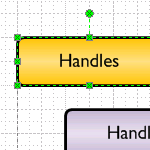 If you are an advanced Visio user, or you are developing solutions for Visio, you’ll want to understand the subtle differences between 1D shape handles. Did you know that Visio allows you to select shapes inside of groups and manipulate them without ungrouping or opening new windows? The feature is convenient and powerful, but the visual cues that tell you what you are doing are subtle and can lead to confusion. This article will show you what to look for when working with selections, help you to be more proficient in your diagramming, and save you frustration along the way!